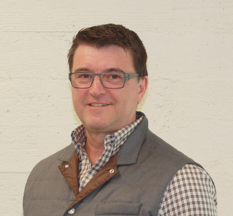 Jeff Nolan is a proven Bay Area based marketing executive with a track record of transforming marketing teams and strategy in enterprise software growth companies. Jeff leads the marketing team at Kahuna, which includes the four corners of successful marketing teams: content, product marketing, demand, and brand. With extensive experience in security technology and CRM companies, and a founding partner at SAP Ventures, the venture capital affiliate of SAP AG, Jeff is well-equipped to manage the complex tactical and strategic marketing challenges facing companies today. Fun fact: Bay Area native, Jeff lives with his family on the mid-Peninsula where he has transformed his home into an urban farm featuring gardens, orchards, chickens, and a thriving beekeeping operation.